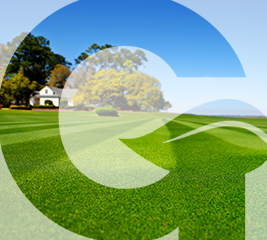 Our Landscape Maintenance Guarantee! A Personal 100% Iron-Clad, Risk Free, Double Money Back Guarantee. We want you to be totally thrilled with our service...so absolutely delighted you will recommend us to your friends and neighbors. You are the judge, if our work is not excellent, we will re-do the item in question for FREE. Nothing is more important to us than your complete satisfaction. We’re a part of this community and we’re dedicated to helping both home owners and business owners of Sanford, NC and the surrounding areas get the most out of their yards and lawns. From large-scale commercial maintenance, to residential services, to occasional lawn mowing—we can take care of all your needs. No job is too big or small, and there’s no such thing as a client that doesn’t deserve our absolute best effort. We know that if we don’t do a good job, you’ll tell your friends and fellow business owners, so we make your satisfaction our highest priority. Get in touch with us today for a free consultation and a quote for services designed specifically for the needs of your home, business or multi-family property. From mulch to lawn mowing, shrub pruning to weed control, and edging to debris cleanup, we can manage every step of your lawn and landscaping maintenance. Contact us today! 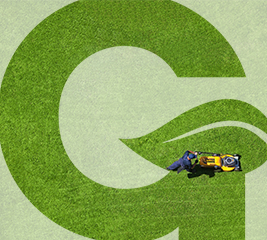 At Green Garden Landscaping, we know that our survival as a business depends on our reputation with the community of Sanford, NC and the surrounding areas. Because of that, we make your satisfaction our highest priority and we offer a 100% satisfaction guarantee on our work. We are very easy to work with and we’ll design reasonable maintenance services around your specific needs. 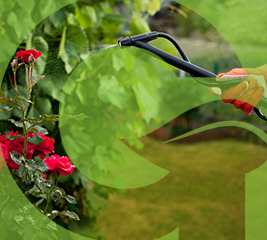 Property managers love us because we make their job easy when it comes to all landscape maintenance. Homeowners love our flexibility, professionalism and our pick-and-choose packages. Business owners love that we can design low-maintenance landscaping which helps them make a good impression while keeping maintenance costs low. Whether you need one-time help or year-long maintenance, we’re here to make the process as easy and affordable as possible. 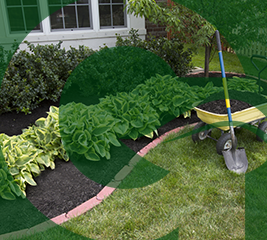 Get the most out of your landscaping with Green Garden Landscape. Contact us today and get started with a free, no-obligation consultation and straightforward quote for our services! My “No-Hassle, No-Excuses, NO-NONSENSE, You’ll Love it OR We’ll Pay For it!” GUARANTEE. You must be absolutely delighted by our services!!! If for any reason, or no reason at all, you feel you’re not absolutely, positively 100% happy with our work, I WON’T BE HAPPY EITHER. That means I WILL NOT REST until we make it right. I will immediately send my team to fix the problem no questions asked… If it’s still not good enough we will pay a competitor of your choice to fix it for you… That is how strongly I believe you will love what we do. Let us prove it to you! Our 100% No Risk Warranty. We carry a multi-million dollar insurance policy. We show up when we say we are going to. We pick up trash, not just mow over it. We make sure all the gates are closed before we leave your property. Our system reminds us when to do the service, so you do not have to!